Achieving success when integrating telemedicine software into your practice means being inclusive and transparent with your staff. By taking the time to collaborate and properly train your team, you stand a better chance of avoiding future issues or frustrations. The ubiquitous nature of telemedicine in today's healthcare environment, means that many people are familiar with the term "telemedicine", but it doesn't mean they understand how to turn it into practical care. So when rolling out a telemedicine system, it is important to focus on training the people who will be involved in the day-to-day operations of the program to account for any concerns they may have. This "A" team typically includes doctors, IT professionals, clinicians and your partners, according to the National Association of Community Health Centers. Ensuring your physicians feel comfortable using a telemedicine platform before implementing it for daily tasks and treating patients is essential for success. Some doctors may be uneasy with new technology, and addressing those concerns with a robust training period is a way to counteract any trepidation. "Work with your medical staff to build familiarity and expertise." Find time to work with your medical staff to build familiarity and expertise with any new technology, as well as to highlight areas of concern. This way the physicians at your practice will feel included in the process, and it may be possible to be more proactive about addressing any problems they may present themselves later on. Because telemedicine interfaces can be so easy to use, any issues will likely fade away with just a short period of practice time. From there, your doctors may become a key ally in proliferating telemedicine expertise among your team. As important as it is for your clinical staff to get comfortable using a telemedicine platform, making sure your own technology experts understand the program is also key. Again, telemedicine programs are typically very simple to use and easy to master, but making sure you have the resources to deal with any confusion will go a long way. Your choice telemedicine vendor should also have a wide range of support experience and tools to deal with any issues or questions members of your team have. Your nursing and the staff at a partnering clinic are invaluable when it comes to the amount of preparation and hard work they provide every single day. By involving the clinical team with the planning and training component of your telemedicine program, you will find it much easier to put together the proper workflow for your telemedicine consolations. 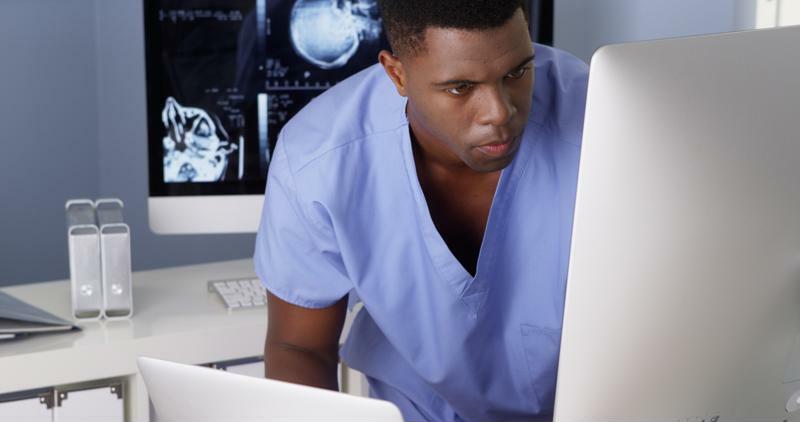 Your nursing staff is a critical part of telemedicine adoption. Your nursing staff is an integral part of making telemedicine successful, the American Telemedicine Association reported. In the same way that a nurse may collect diagnostic information from a patient before meeting with a doctor, you may find it is helpful to have your nurses involved in telemedicine consultations, appointments and logistical concerns. Because your doctors will be relying on clinicians and pharmacists in other facilities, they represent another place where it makes sense to focus attention and resources on proper training and ensuring everyone feels comfortable. With practice, your remote partners will become just as proficient as your clinical team, but it may still be worth checking in and providing open support and guidance. Building a successful telemedicine program at your practice can be achieved through taking the right steps. While it is critical that you involve different parts of your business, there are a few other best practices to be aware of. Please click here to learn more about smoothly integrating telemedicine technology into your daily routine.